9-13 October 2017. Rome. The Committee on World Food Security (CFS). 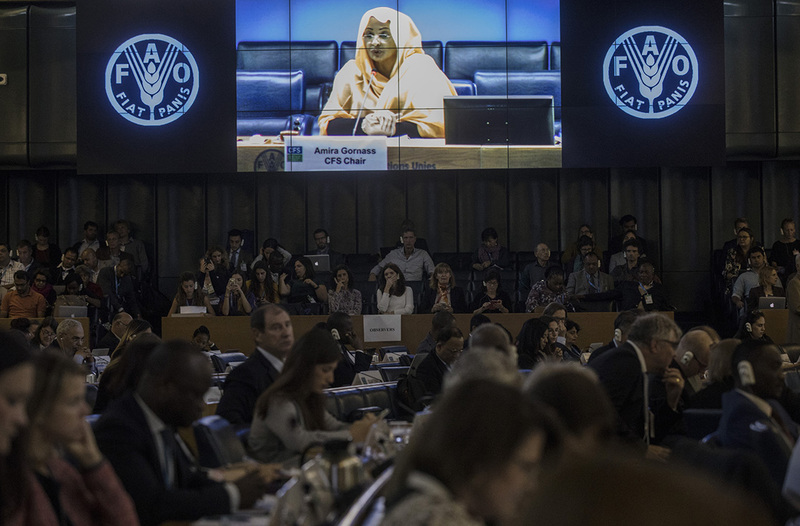 The week-long, 44th Session of the Committee on World Food Security (CFS) – Making a Difference in Food Security and Nutrition – endorsed new recommendations on the role of sustainable forestry in achieving food security and nutrition for all. The recommendations centred on the need for an integrated policy approach to forestry, agriculture, water and food security and nutrition by reinforcing cross-sectoral coordination. Tenure of land and other resources were also highlighted as key in the recommended approach, with the Committee acknowledging the greater role that the CFS Voluntary Guidelines on Tenure could play. CFS also discussed urbanization and rural development, and offered a platform for stakeholders to work together and steer away from approaching urbanization and rural development as separate sectors as has been the case in the recent past. This is especially pertinent in a context of an increasingly urbanized world and changing food systems. The number of people living in cities is to rise from 50 percent to 66 percent by 2050. Over the next two years, the Committee will explore the impact of urbanization on people with lower income and on furthering youth’s and women’s engagement and employment in food systems, including linking producers to markets. Over 50 side events enabled participants to explore topics ranging from rural youth employment and entrepreneurship for food and nutrition security, school meals and social protection initiatives in the Middle East and North Africa to climate smart agriculture, and agribusiness mega-mergers’ threat to world food security. Attractive employment opportunities for young people are often limited in rural areas. The event considered the momentum for rural youth employment related to the G20 Summit (July 2017 in Hamburg) and EU-Africa Summit (November 2017 in Abijan). The theme of employment creation in food systems will run throughout the event. 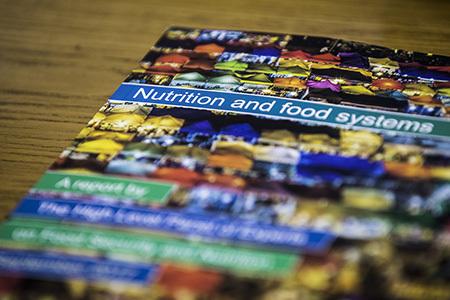 This side event explored challenges and identified leverage points for building the knowledge base, the science-policy interface and the food systems governance that is needed to guide the transition towards healthy and sustainable food systems. 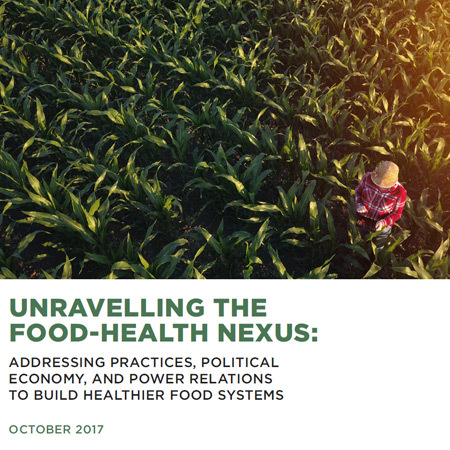 The key findings of IPES-Food’s report on ‘Unravelling the Food-Health Nexus’, commissioned by the Global Alliance for the Future of Food, were be shared at the side event. The event presented a report that outlines challenges and solutions to diversifying production and consumption internationally. 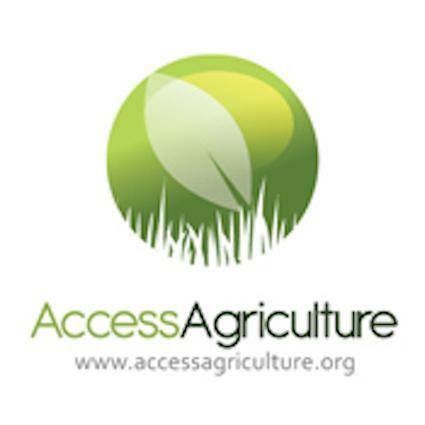 In addition to the international and academic view provided, through a short film the event highlighted the absence of agricultural and dietary diversity from a local community perspective in Zambia. The panel discussed the research and video presented and explored how multi-stakeholder platforms that promote a variety of voices can deliver collective solutions for national change. 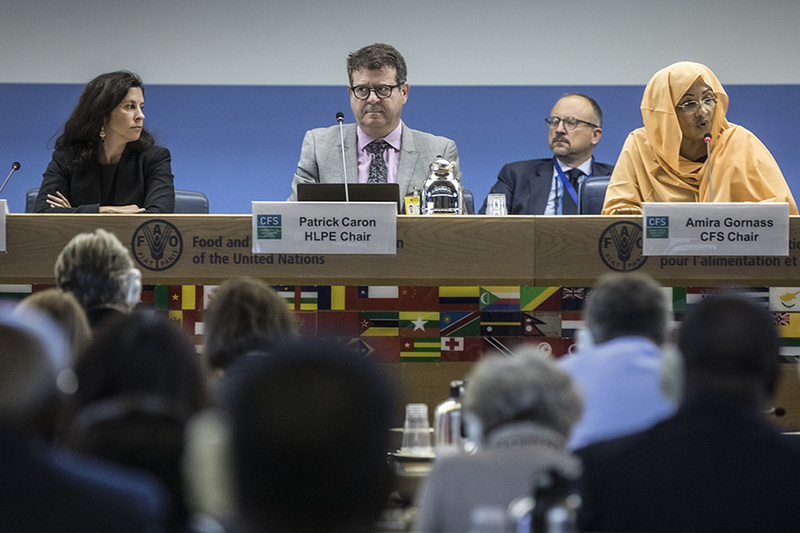 Diets all over the world are becoming more homogenous and this event discussed how international, national and local actors can reflect on dietary diversity together to ensure appropriate voice is given to a variety of stakeholders all committed to transforming food systems. 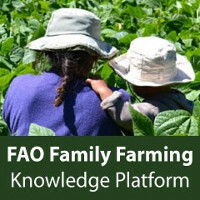 Forests, trees and agroforestry for food security and nutrition and the SDGs: research and partners, towards a joint action agenda. The side event discussed expectations of stakeholders, from generating technical, policy and governance solutions, to scaling-up according to contexts. 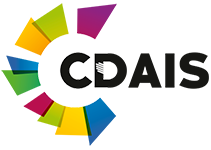 This will help defining priorities of research for development and of national and international partners, in support of stakeholders needs to implement the CFS action agenda. Presenters shared and reflected on the implications of early findings and emerging lessons from pilot initiatives for responsible land investment, from a DFID challenge fund and other initiatives, including projects in Belize, Ghana, Mozambique, Sierra Leone, Tanzania, and Zambia plus two multi-country projects in the sugar sector. An Agrobiodiversity Index, developed by Bioversity International with partners, based on the scientific evidence outlined in this book, will help policymakers and the private sector assess dimensions of agrobiodiversity to guide investments for sustainable food systems. 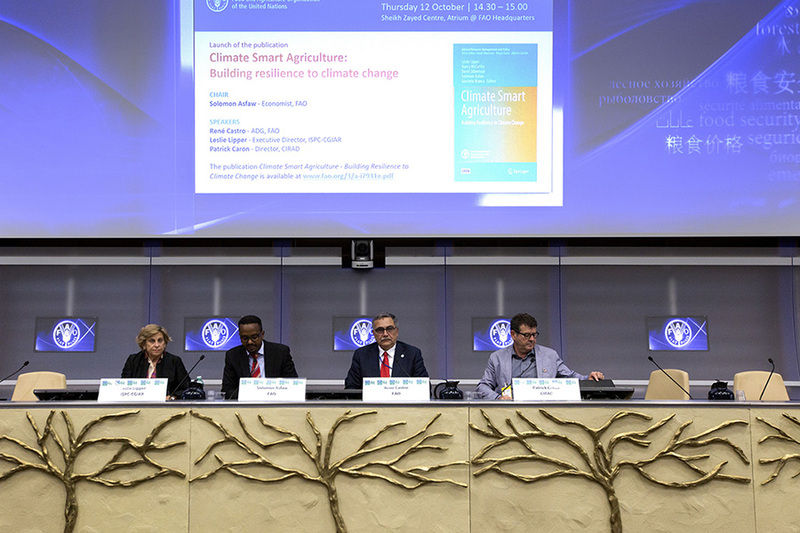 The side event promoted dialogue on ways to advance sustainable food systems with strong rural-urban linkages and well managed human mobility, as a lever for future growth, prosperity and food security to mitigate migration challenges and maximize its benefits. 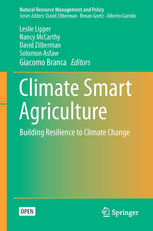 A new book publication, entitled ‘Climate-Smart Agriculture – Building Resilience to Climate change’, which is co-published by the Springer and FAO, was launched at the event. 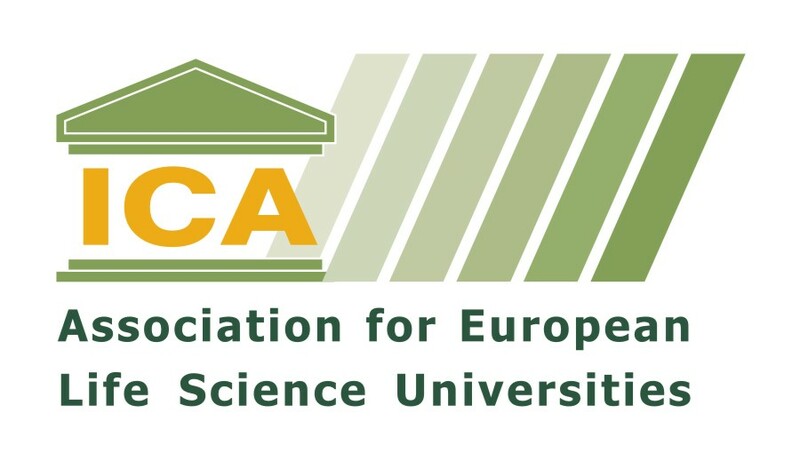 The book expand and formalize the conceptual foundations of CSA drawing upon theory and concepts from agricultural development, institutional and resource economics. The book is also devoted to a set of country level case studies illustrating the economic basis of CSA in terms of reducing vulnerability, increasing adaptive capacity and ex-post risk coping. It also addresses policy issues related to climate change focusing on the implications of the empirical findings for devising effective strategies and policies to support resilience and the implications for agriculture and climate change policy at national, regional and international levels. The publication provides development agencies and practitioners, policymakers, civil society, research and academia as well as private sector with tested good practices and innovative approaches of promoting CSA system at country level. Promoting the growth and development of smallholder seed enterprises in Africa: what are the key factors. The impact of the mega-mergers on developing countries – and smallholder producers – are not likely to be considered in either the home countries or major markets of the companies involved. The only opportunity that most countries and farmers will have to examine and express their views of the mergers and the potential threat to food security is through the Committee on World Food Security.